Summary : Simple, unique design that solves a common problem. Many wine connoisseurs will agree the choice in wine glassware can make or break the whole experience of the wine. The stem of a wine glass does serve an important function with both red and white wines. For white wines, the stem prevents your fingers from touching the part of the glass that could change the temperature of the chilled wine. For red wines, the stem helps you properly swirl the wine to let it breath. 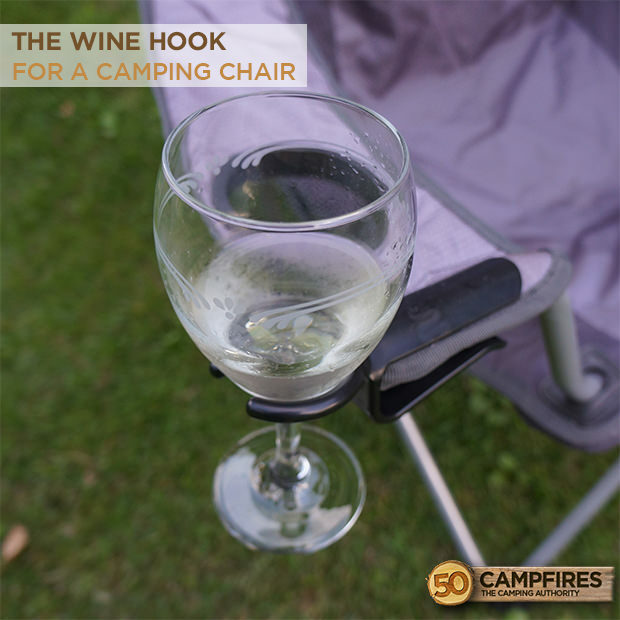 Stemmed wine glasses are very fragile and pose a problem when you are out camping. Unique Soultionz made The Wine Hook to keep these fragile glasses securely close. Appearance: The Wine Hook comes in black or pink. The black offers a classic look that matches most chairs with out standing out. The pink is a great choice for the fashion forward females. 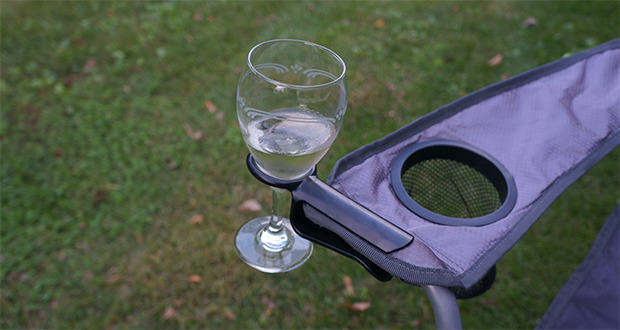 Overall, The Wine Hook is a fashionable way to enjoy a glass of wine outdoors without the worry of where the safest place to set your glass is. Ease Of Use: The Wine Hook is very easy to use. All you have to do for secure fit for your glass is by clamping the holder on to your favorite camp, adirondack, patio and wicker chairs. No tools or assembly required, so that means more time to enjoy your wine. 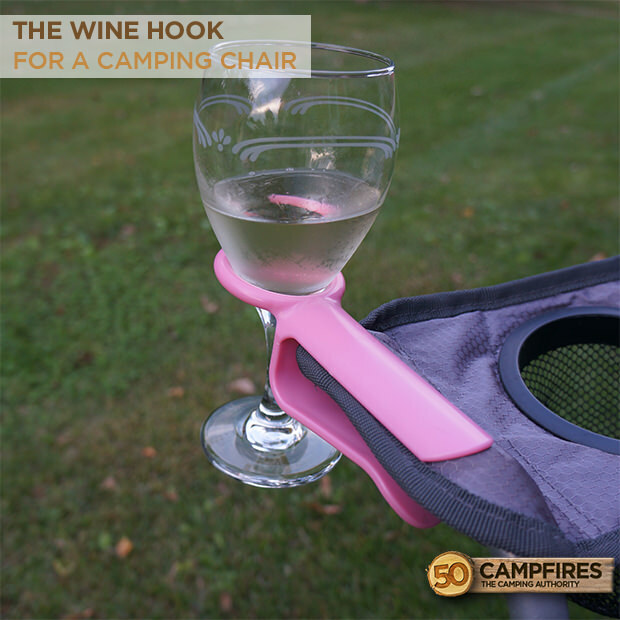 Durability: The Wine Hook is made with thick, injection molded plastic. 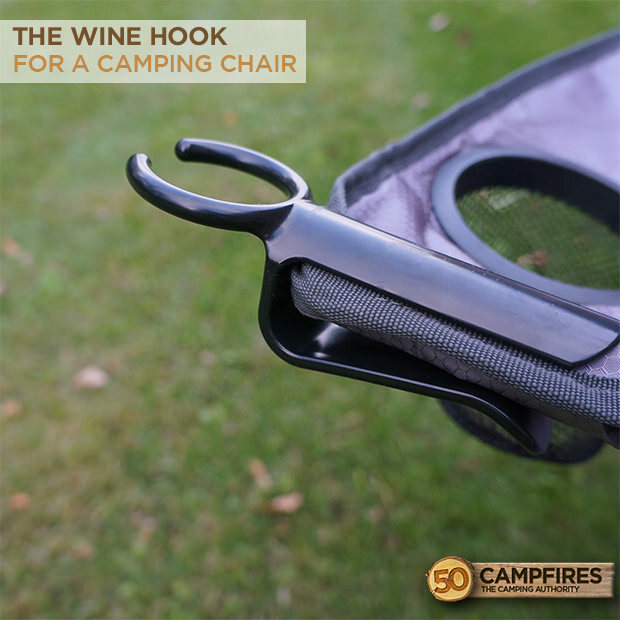 The clip shape offers a spring like function that works to hold the hook securely in place on almost any camp, adirondack, patio and wicker chairs. This product will last a long time and can handle a lot of abuse. Value: The Wine Hook retails at only $9.99 and is a great values for a device that will help you prevent from breaking glassware that can cost well over $9.99. Unique Solutionz is proud to have all of their products made and tested in the United States. Can’t see the form below? Click here for a mobile friendly version.